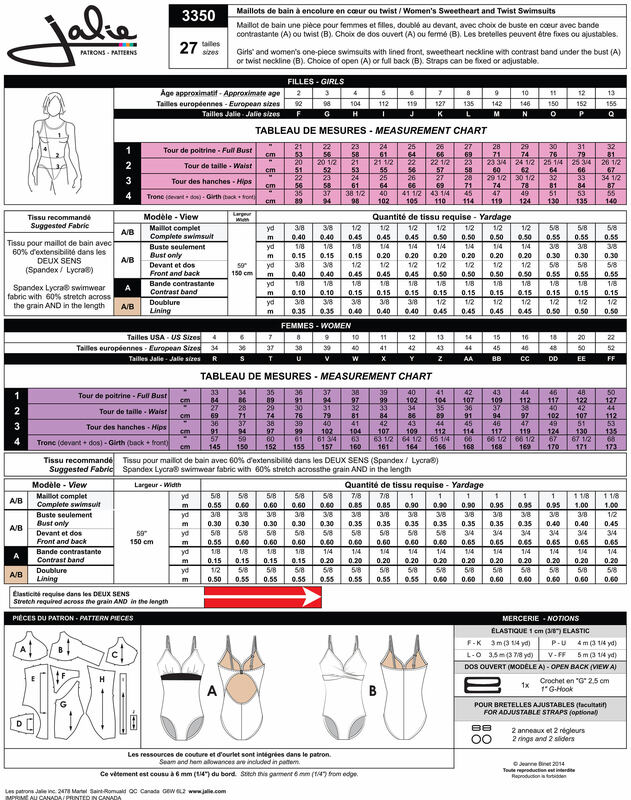 Package includes patterns and instructions to make One-Piece Swimsuits with lined front, sweetheart neckline with contrast band under the bust (View A) or twist neckline (View B). Choice of open back (View A) or full back (View B). Straps can be fixed or adjustable.